From Bruce Robinson: I am sorry to report that Alan Parker died on Easter Monday. He left a momentous legacy of work in bicycle planning and advocacy. He was an important mentor and advisor to me. Bruce Robinson, Cyclists' Action Group, Perth. From Doreen Parker: Thank your kind thoughts. 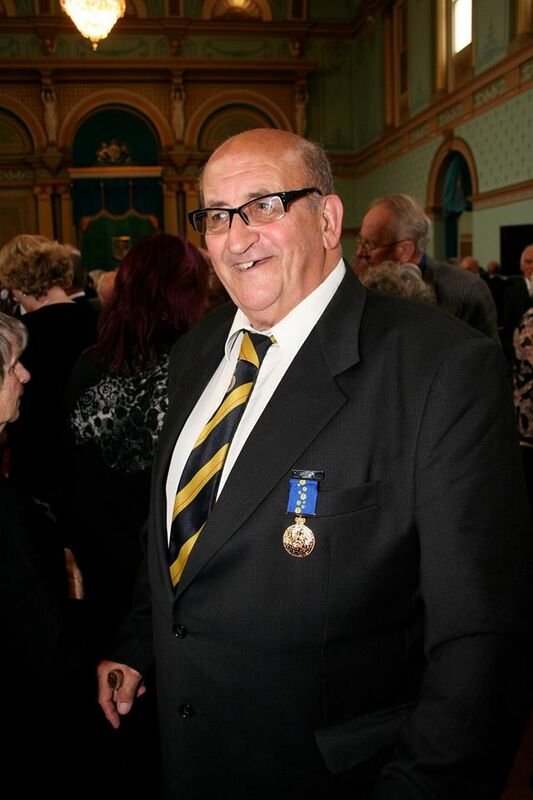 The funeral will be held at Cirrus Reflections Space, Bunurong Memorial Park, 790 Frankston Dandenong Road, Dandenong South on Monday April 4th at 2pm. No flowers please but donations can be made to Medicins Sans Frontiers. Envelopes will be available at the Chapel. Further information: Tobin Bros 034 5975 2233. Much of Alan Parker's childhood was spent during World War II in Coventry, England, (where the family home was bombed) and in Birmingham, where street games included collecting shrapnel, and where he learned the art of frugality – how to feed a family by growing fruit and vegetables in the back garden. He retained a strong interest in Churchill and the war throughout his life. YarraBUG Radio Show #387 Monday 25th April 2016 - Tribute to Alan Parker OAM: Chris replays a two-part interview from 2013 with Alan Parker OAM. For service to the community, particularly through Bicycle Victoria. Vice-President, Bicycle Federation of Australia. Member, State Government Bicycle Planning Committee, for many years. Planning work, the Geelong Bike Plan and other bike paths in Melbourne. Committee Member; Member, for many years.